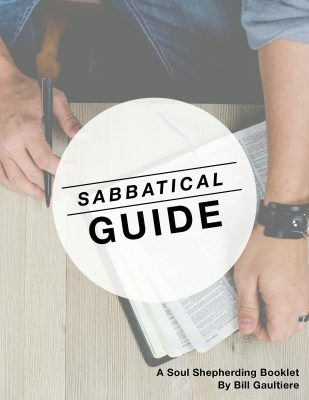 This guide will also give you practical examples of Sabbaticals that other pastors have done. You’ll be empowered to unplug from your work and trust the Lord to help you really rest and refresh! You’ll be inspired to connect with the Lord and listen to his voice. Beloved Servants of our Blessed Redeemer, thanks very very much for your devotion to being who God has wired you to be His church and her leaders over these years! I’m retired (& really tired) minister and I don’t have the funds to purchase the classic you have produced but I’ll recommend it to others. God bless you real good.